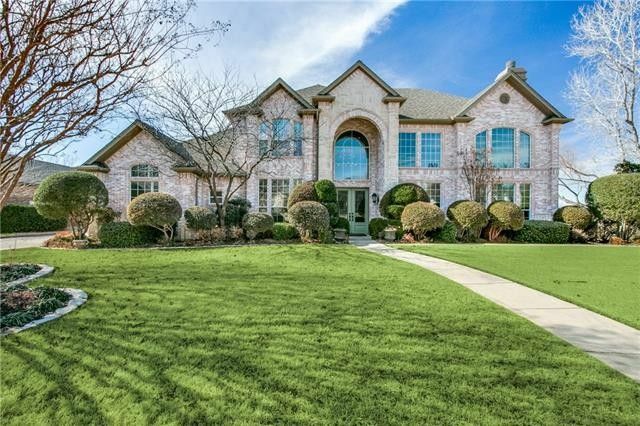 This comfortably elegant custom home in Forrestridge sits on an ideal lot with pastoral views of ranch land,a pond & fountain. Four bedrooms (2 on the 1st floor & a 5th bedroom or optional media room upstairs), 3 full baths+2 half baths, 3 living areas, including a gameroom with a winebar + a formal dining rm that could be an ideal study! Exquisite travertine flooring flows throughout the family rm, kitchen, brkfst rm, & entry hall. A stainless steel Subzero refrigerator, Dacor 6 burner range, double ovens, gleaming granite complement the openness of the casual living space. Both master & guest suites on the 1st floor. Elegant formal living & dining rm study). Huge 3-car garage! Big private boat & RV parking! Directions: From Hobson Lane, go south on Forrestridge Drive. Turn right onto El Paseo. Turn left onto Belmont St. Home is on the corner.